The upcoming title looks to reimagine this classic game's legacy and bring its signature style to a whole new generation. 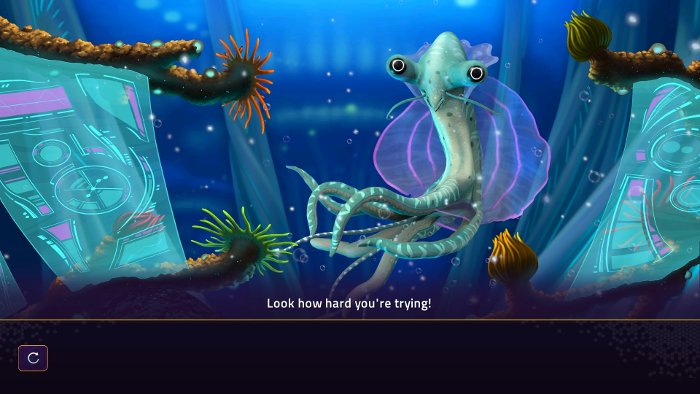 The Star Control series has been around for a number of years and has taken on several iterations in its existence. However, it’s now been well over a decade since there’s been a real sequel. Fortunately for fans of the classic space RPG the team at Stardock is well on their way to bringing the series to the next generation in the form of Star Control: Origins. Origins takes place several lifetimes before any of the other games in the franchise. An alien race known as the Scryve have decided that humankind’s continued existence is not a great idea and are preparing to wipe the Earth and its inhabitants from the universe. In order to save the Earth and all their stuff on it players will have to take on the role of the planet’s first interstellar space captain and explore the cosmos for a solution to Earth’s impending doom. As players make their way to the stars they’ll be entering a universe full of alien races that already have history working for or against each other. This means some races will have a predisposition to a player's existence and others can be persuaded to align with Earthlings, or at least not try to kill them. 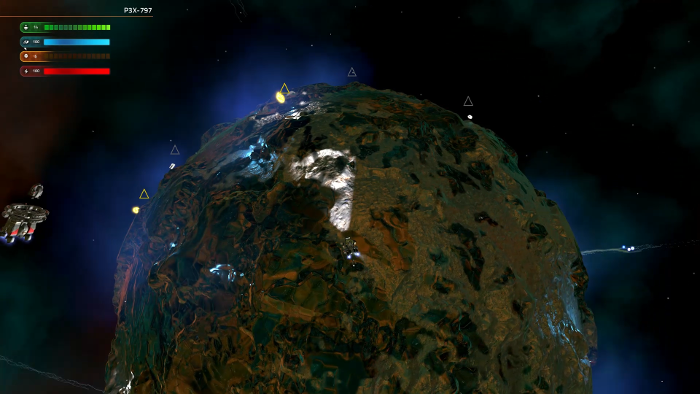 Doing missions to build relations or gain access to new tech will present themselves as players traverse the 700 stars and 3,000 unique planets that make up the game’s map. Players will have the option of staying on course to save the world or getting lost in the many side quests that the universe has to offer. When diplomacy fails, players will take on their enemies spaceship to spaceship in an Asteroids-style over-the-top battle. Players will be able to accrue up to 16 ships and a get their hands on a number of weapons at their throughout the game including standard blaster shots, a short distance beam that sort of resembles a lightsaber coming out of a ship, or a black hole gun that pulls its targets inward. Surrounding areas will also play a factor in combat with larger objects pulling projectiles into their gravity and spaceships slingshotting around planetoids in order to get a speed boost. Along with exploring the vastness of space, players will be able to use rovers to land on alien planets and explore for minerals and discover hidden secrets. Sometimes there might even be stranded vessels or crew that need rescuing. Overall there will be sixty planets types for players to explore all with varying environments and their own levels of gravity. Landing rovers on planets also involves playing a mini-game where you fight against harsh winds in order to land the vehicles within a target area. Landing too far off from the target can damage or even destroy a rover. Collecting resources from planets and quests will be key to upgrading and expanding ships. 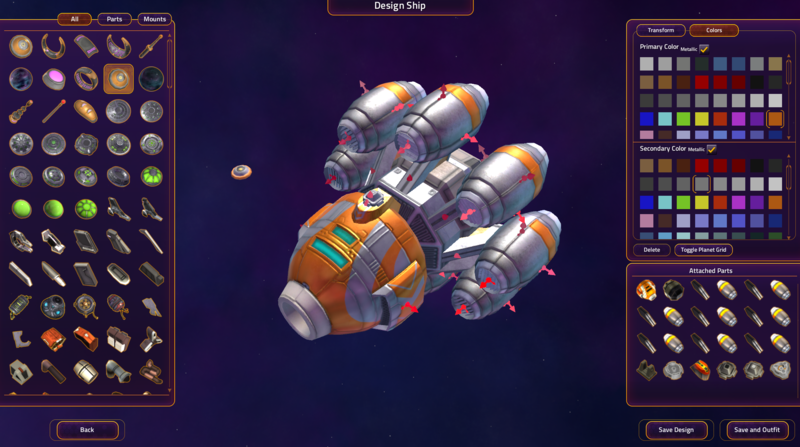 The ships themselves will be extremely customizable. Basically, any part can be added or integrated into a ship in an almost Lego-like manner. Taking parts and assembling new crafts will help players improve their chance of survival and unlock different weapons as well. 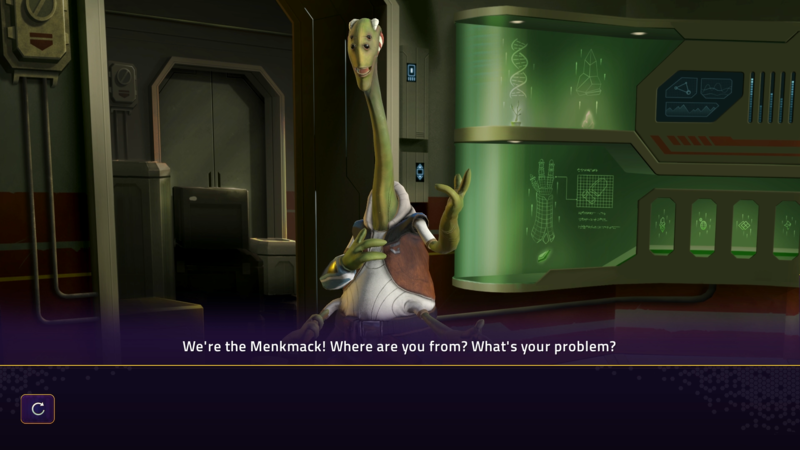 Beyond the massive single-player campaign, Star Control: Origins will offer extensive modding tools for fans that will allow them to create their own sci-fi adventures. Meaning, fans could make themselves their very own Star Trek universe or maybe something a little more whimsical like a Futurama-verse. While the full game doesn’t have a release date just yet, players lucky enough to get into the beta can check out Star Control: Origins PvP mode Fleet Battles right now. Fleet Battles gives players a chance to build a team of ships from any of the alien races in the game and pit them against their opponents. Figuring out what ships counter the offensive or defensive moves of an enemy will be key to coming out on top in the long run. What I find most interesting about Origins is that it combines a lot of straightforward action gameplay of bygone years with an impressive amount of depth to a rather expansive story. At this point, it’s hard to say whether or not Star Control: Origins will bring the series back into the spotlight, but it’s looking like it has a good chance of drawing in fans of sci-fi RPG’s and classic space combat. Star Control: Origins is set to release later this year for PC and its PvP closed beta is currently in process.